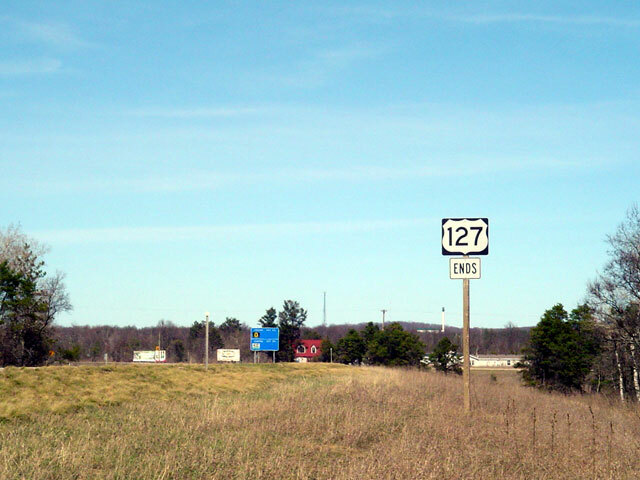 Although this END sign at US 27 in Red Bank is plain to see, recent evidence indicates that it is actually in error, as per multiple TDOT maps, US 127 extends down into downtown Chattanooga. Photo by Adam Froehlig, taken in 1999. END signage on the ramp from US 127 to northbound I-75, near Grayling. Photo by David Stilwell.